Thank you for praying for us as we make this adjustment. . . especially for the children as they probably don’t really understand what’s going on. As expected, life is staying busy as we prepare for our move to SC. We had an amazingly successful yard sale and feel great about the amount of excess we removed from our house! I’m posting a few pictures since it has been a little while. Merry is growing faster than ever and she seems like such a little lady! She’s pulling up to stand in any location she can. . . this is a photo we got of the first time she pulled up to stand on her own! I was putting Elijah to bed and turned around when I heard her laughing, and there she was standing up all on her own! What shocked me so much was that she had just started sitting up and crawling only days before! 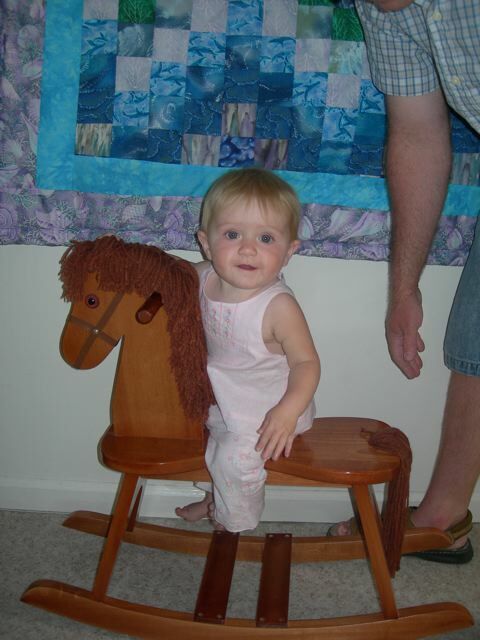 Here she is, riding the rocking horse given by Aunt Naomi. . . the aunt who makes sure they have all the necessary “fun” toys that mommy is too nervous to purchase! 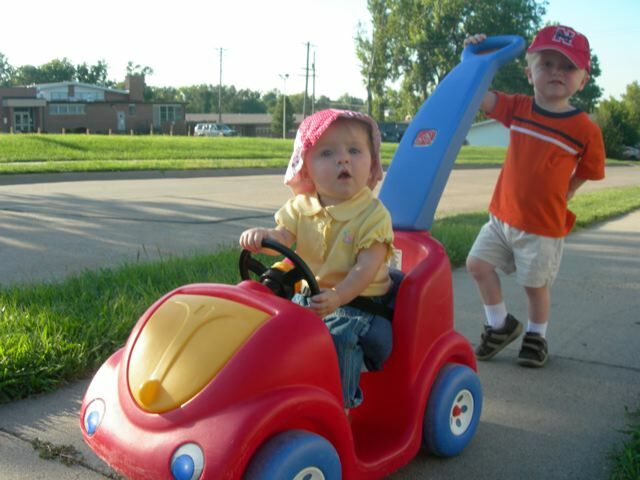 Going for a walk pushed in her car by big brother Elijah. . . he is so good with her and always wants to take care of her. . .